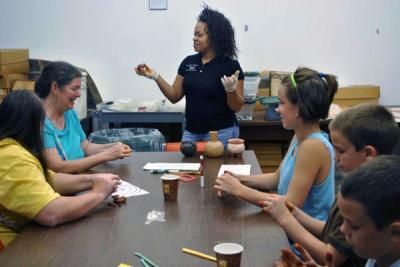 Family programs and craft activities change weekly. Drop by to help process prehistoric artifacts excavated from sites in western Tennessee, help in landscaping our gardens and trail, and much more. Come for one hour or the entire four. Children are welcome with parental supervision. No experience is required. December--No volunteer day in December.